Ask anyone following the photo industry and they’ll tell you - Most all the innovations in the past few years belongs to companies like Panasonic. The last few years we’ve seen the GH3, GX7, LX100 and GH4 to name a few. Working closely with the team at Panasonic I often get to give input on cameras before they hit the market and I’m happy to say most of what I asked for to improve the GX7 got added to the GX8. The Lumix GX8 is the natural follow up to the GX7 - one of my favorite cameras ever. The Lumix GX8 improves on the GX7 in many ways but is it a replacement for an already well rounded camera? 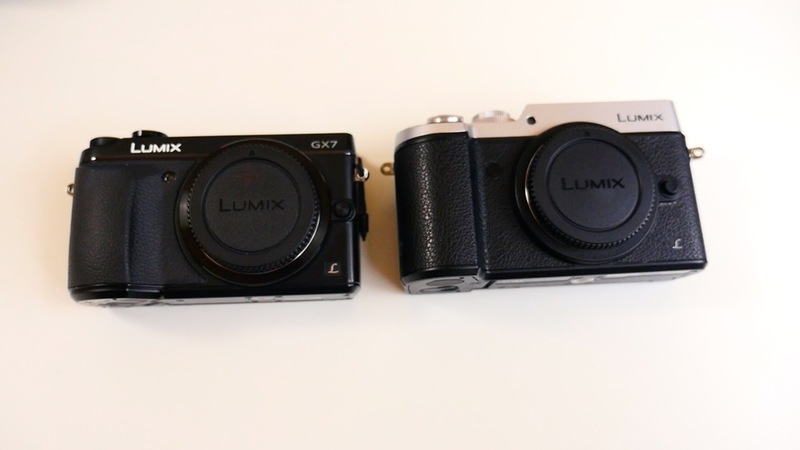 Also how does the GX8 fit into the current line up of cameras from Lumix that include the LX100, GH4 and the G7? At first glance you’ll notice one thing about the GX8 - It’s BIG. Second in size to the GH4, the Lumix GX8 is beefy in terms of Micro 43. It’s noticeably larger than the GX7 which at first bother me but then I quickly remember that for my hand size I found the GX7 to be just a bit too small. The GX8 is a good fit but not as comfortable as the G7 or the GH4. I would love it if an aftermarket company would make a grip for the GX8. Build wise the GX8 is rock solid thanks to a metal sub frame that also acts as a giant heat sink. It’s heavier than the GX7 and about the same (maybe a bit more) than the GH4. Not to say it’s a heavy camera at all. We’re talking Micro 43 here but the GX8 has a pleasant heft and no flex in the body which inspires confidence when you shoot. New to the GX series, the GX8 has both a fully articulating screen and mic port. The touch screen, I’m sure is the same as the GH4. At least to my eyes it is. The back of the touch screen has the same finish on it as the grip which is a nice feature and really adds to the retro-futuristic look. The two real surprises here are the EVF and mic port. On the GX7 the EVF image quality was nice but I felt like looking in a tunnel. Not true with the GX8’s EVF. 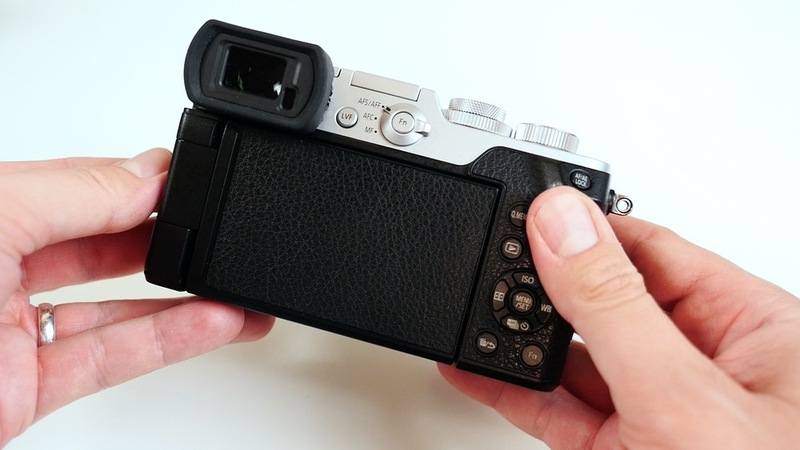 The EVF on the Lumix GX8 is the largest for any Lumix ever. Not that I’ve done a side to side but it feels similar to the larger EVF’s you might have used on a Sony or Olympus. My guess is that it’s a similar or updated panel and thats a very good thing. Even with my glasses on I can see the whole thing which to me looks like a very large TV. The mic port is probably the sad part about the GX8 for me or any other video shooter. While the mic port on all Lumix cameras since the GH3 have been 3.5mm the GX8 is 2.5mm which is not industry standard. When I saw the mic port I immediately thought of the GH2 which had the same sized port. If you want to use a standard shotgun mic like the Rode Video Mic pro you'll need an adaptor. If you want to use Panasonic's own MS2, as of this writing, you're out of luck. Want to use a standard shotgun mic with the GX8 you'll need this. The reasoning of the smaller mic port is there was only enough space to fit either the mic port or a port for the RSL1 cable release so they combined the port to work with both a mic and cable release. Personally I would have been ok without the AV/USB port and in it’s place a proper 3.5mm mic port in addition to the 2.5mm port for the cable release. There is a HDMI out port but no headphone jack. 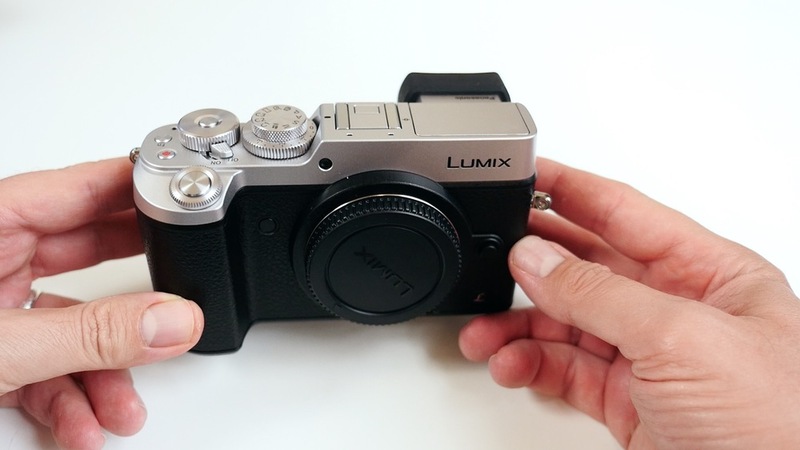 I hope future Lumix cameras drop the AV/USB port in place of more modern, functional ports. Frankly, I don’t think anyone uses the USB port to download photos and I’m not expecting many to want tethered shooting with the GX8. If you’re into customizing how your camera works (you should be) the GX8 will make you jump for joy. The designers of the GX8 made use of the larger body and incorporated 8 physical function buttons, 5 on screen buttons and 5 custom setting slots three of which are located not the main dial. That’s a lot of options for customizing your GX8! There’s so much room to customize how the GX8 can work it really deserves it own post at minimum and maybe even a book. One thing though, I do wish I could assign one of those many function buttons to record video. The record button is flat and hard to find when you need it quickly however all you can do is turn off the recording feature and at that point the button has no use whatsoever. All of these new features requires a proper battery so Panasonic upgraded the GX8 to use the same battery as in the FZ1000 and G7. The BLC12PP comes in at 1200mAH compared to the BLG10PP at 1025mAh which powers the GX7 and LX100. In use I’ve been able to get a day of heavy shooting from a single battery but since my GX8 is a prototype and since I don’t review much as I shoot I would take my usage with a grain of salt. That said you can find replacement batteries for cheep on Amazon and they’re available now so I recommend getting a second or perhaps third. If you already own a camera that uses the BLC12PP then you’re good to go. With a brand new 20mp Micro 43 sensor, the Lumix GX8 is the first Micro 43rds camera to break the 16mp barrier. When found out that the GX8 was upping the pixel count I was not too happy…that is until I use the GX8. Happy to say the GX8 has much improved grain in low light over the GX7 and event bests the GH4. Best of all this is with firmware .2 and I’m told that by the time the GX8 hits the streets the image quality will improve even more. This is super exciting if you ask me. I wonder if this new sensor will end up in future Lumix cameras? I would guess yes. The DFD autofocus on the GX8 is instant which is not surprising since all Lumix cameras in recent memory could focus instantly as well. In practice the GX8 did not need the AF lamp in low light so I turned it off and recommend you do the same. With a sensor this good, shoot without flash in any available light and you’ll be quite happy. Panasonic has included the same 4K Photo Mode in the GX8 that ships with the G7 which is handy when you need to get the shot right the first time. 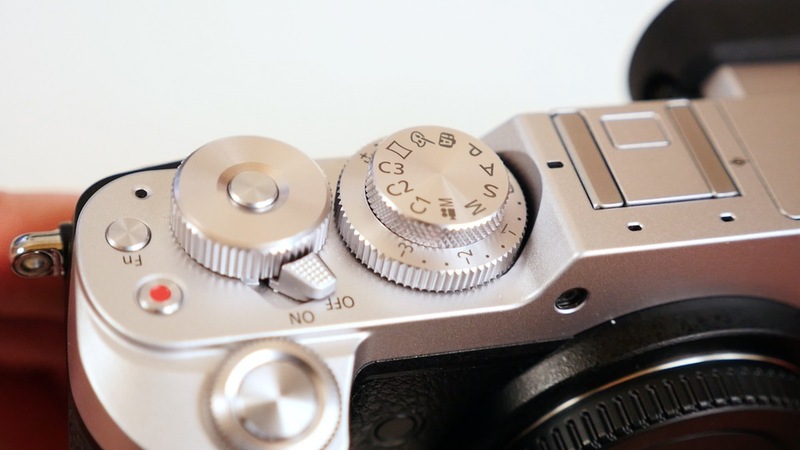 In 4K Photo mode the GX8 captures 30 frames per second in a video wrapper. Mind you 4K Photo is not video, it’s 30 - 8 megapixel JPEGS per second with embedded meta data, multi aspect shooting and more. It’s 4K for photographers and it’s a feature that once you get hooked you’ll wonder how you ever lived without it. Also I’m told there will be some additional features added to 4K Photo around the time the camera ships this fall. The GX8 has improved on the in body stabilization of the GX7 but it is not 5 axis as some might have hoped for. Rather, Panasonic elected to do something that is impressive in it’s own right and that is what’s being called Dual IS. With Dual IS the GX8 uses both in-body sensor-based stabilization simultaneously with the lenses Optical Image Stabilization. This method of Dual IS is quite effective for low light shooting allowing me to get usable hand held shots of around 1 second exposure. Since my sample was very early pre-production I could not test how well the Dual IS works with video but I’m told there will be some noticeable improvements in that area as well. Best bang for your buck? The Lumix G7. Over all I’m quite impressed by the GX8 but it took a couple days to love the camera. This is mainly because of the mic port (you know how I love to shoot video) but more so I REALLY like the Lumix G7. Not to take away from the great things that the GX8 has for it but if you just purchased a G7 keep it and invest in the lenses. You won’t regret it. If you are deciding between the G7 with a premium lens and the GX8 with a kit lens I’d still recommend the G7. Remember you’re buying into a system. The lenses will last you several generations of bodies and I’ll take a killer lens on an older sensor any day. If you loved the GX7 but wanted better IS and low light ability or just want good low light ability in general then the GX8 is for you. It’s a stylish, next gen Micro 43 body that for the majority of people will make quite happy.